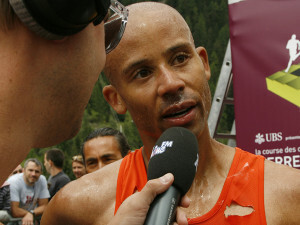 Joseph Gray 5-Time USA Mountain Runner of the Year. Joe is a runner with an amazing story to tell. In Mexico he challenged one of the toughest races in North America the Itzaccihuatl Skyrace de Mexico starting at 11,000 feet ascends to 15,750+ and back. Joe Gray was the only African American on the U.S. Mountain Running team this year—make that ever, women and juniors included. Gray, 30 years old and living in Colorado Springs, Colorado, is proud of this and wants to be the face of African American trail running. But he wants to be more than that, too. In 2014 Joe became the first athlete in USA Mountain Running History to win back to back USA Mountain Running Titles while also becoming first Male athlete to win both Uphill/Downhill and Uphill Formats for the Championship. This is a recap of an amazing running adventure from one of the true running greats of our time.